The winner of this giveaway is Linda. Congratulations! I like that one the most because I think it would be impossible to get anymore timeless, classic and classy than that. LOVE THIS WATCH A LOT! I’ve been seeing a lot of people with these watches and love them! I have a really small wrist, so its hard to find a watch that doesn’t look gigantic. The classy sheffield in silver looks perfect! In love with these watches! 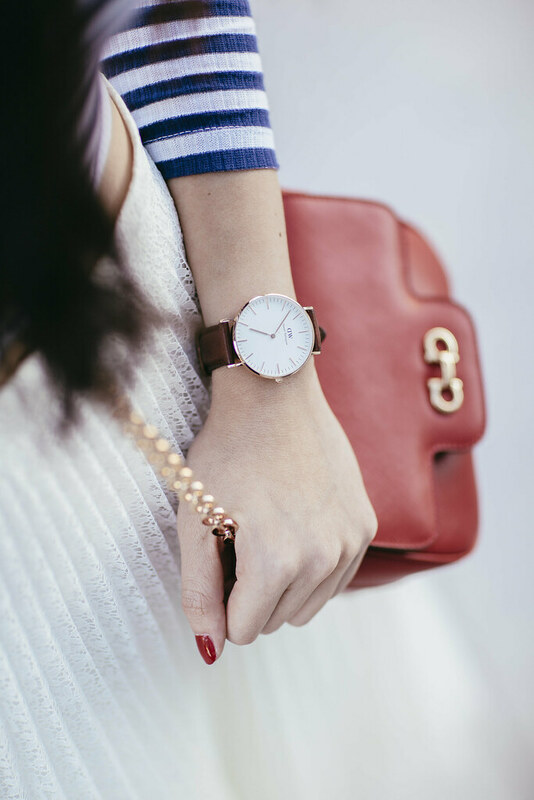 Totally adore Daniel Wellington watches! Bought one for my boyfriend, and he loves it! Now it’s my turn to wear a Daniel Wellington! Have been wanting one for so long! Love the way it design minimalist yet long lasting, i think its kind of something to inherit for my future child. Can build a strong piece to complement any style because of changeable straps. Unfortunately, its difficult to find this style in Indonesia. Love your IG account and blog!! I’ve been wanting this watch for some time now, fingers crossed I win this great giveaway! https://www.danielwellington.com/us/classic-sheffield-217. I have been wanting one. Thank you. I’ve been looking for a timepiece family to buy from for a while, and these are quite lovely. Thank you and Daniel Wellington for the opportunity! I always love reading your posts on the blog and IG. Thanks for inspiring my wardrobe and letting all of us readers join you in learning about what it means to “Buy Less , Choose Well”. I have definitely started downsizing my wardrobe and am making better decisions when it comes to purchases. 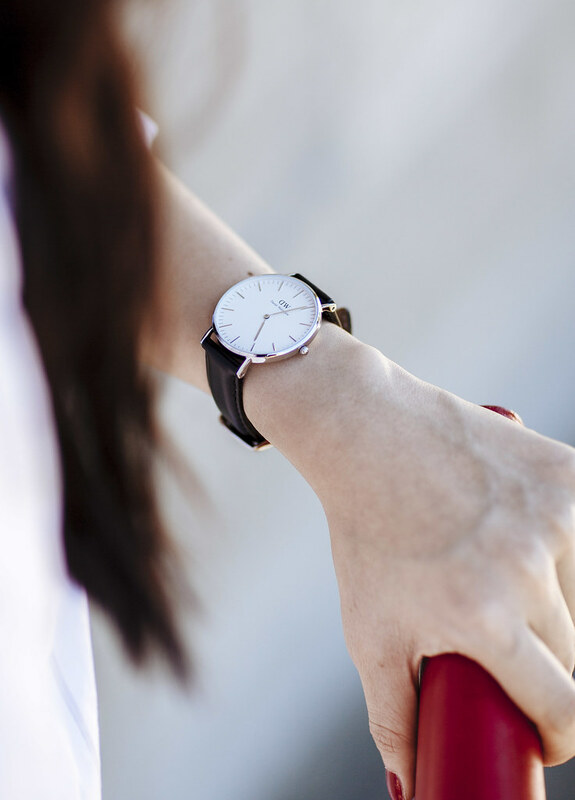 I would definitely love to add the Classic Sheffield Lady in silver ( https://www.danielwellington.com/us/classic-sheffield-217 ) to my wardrobe staple! Thanks for the giveaway – and good luck to all! So happy when I saw this competition is open to international readers ! 🙂 Thanks Jen! Love your blog! Liked and shared. So excited, I have been keeping my eye on this for so long. Thank you so much! The watch looks very nice on you. It is very classic yet fashion. I love the Classy Bristol. Hi Jen! So great to see a Canadian blogger in the world of fashion blogs. Thanks for the giveaway! Love a good watch! Oh would love this in silver so much! I love the minimalist design! Ohhh love DW’s watches. Their so classy and goes with anything. Thank you for introducing these beautiful pieces to me! Wow those watches are gorgeous – thank you for introducing me to the brand! Thank you for hosting this international giveaway for all your fans n readers away from you n who love your work!!! DW has been on my Wishlist from a very longtime! My fave is Grace London: classic red & navy works with everything! I like this watch because i like it’s design . It look vintage style and classy that always grab my eyesball .Meanswhile ,the other reason i love DW is it can match almost every outfit and accesories . Hi Jen , nice to meet you . I’m so happy when i read your post because I always wish i could own a DW watch someday . Although my chance to win this great giveaway are small , but i still wanna try . Good luck to me and everyone who participate this giveaway ! Hi Jen!! Thanks so much for hosting such an awesome giveaway. I’ve been lusting for a Daniel Wellington watch for some time. Each timepiece is beautiful, but my favorite would be the Classic Sheffield for men. Yes, I love a good men’s watch. (https://www.danielwellington.com/us/classic-sheffield). Crossing my fingers and toes… and wrists. LOL! Thanks again. Oh I forgot to mention, I’d love the watch in Rose Gold. Sweeeeeet! I liked on FB and followed on Instagram! I really love the Classic Bristol Lady – https://www.danielwellington.com/us/classic-bristol-214! Love the timeless elegance of this brand. Thank you for hosting such a wonderful giveaway Jen! I have been wanting to get this watch for my mom’s birthday for so long I really hope I could get it! Also, thank you so much for hosting this amazing giveaway! I love this simply and nice ! I absolutely love the Classic Oxford https://www.danielwellington.com/us/classic-oxford-227 Who wouldn’t love a classic time piece attached to their wrist? I’ve been under a rock, but now I’m officially out of the Stone Age. Lovely timepieces! I fell in love with this watch, because it’s just very simple and beautiful. I’ve been saving money for it since 2 months now, so winning this would be amazing! Lovely watch. So simple. I really like it.